The choir rehearses on Wednesday evenings at the Goring United Reformed Church Hall, opposite the Worthing Leisure Centre in Goring-by-Sea. Rehearsals normally run from 7:30 to 9:45 with a break for light refreshments at half-time. The choir’s Musical Director, Conductor and rehearsal accompanist is Helen Emery. New Members are always welcome, especially tenors and basses! We are a very friendly group, and will make you feel at home. You don’t need to be able to read music as we teach all of the parts. You just need to be able to sing in tune. There is no formal audition to join the choir however you will be asked to sing a simple song in a variety of keys to assess your vocal range. Please contact Helen via the contact tab above for more information. 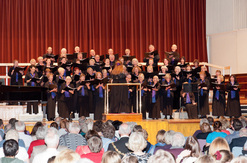 If you really can’t sing, or don’t live locally, why not become a friend of the choir. For £10 per annum you receive regular newsletters, an invitation to our social events and AGM, as well as priority booking for our concerts. Please contact via the contact page for more information. Helen began piano lessons at the tender age of five with Susan Fisher with whom she studied until going to university! She achieved grade 8 distinctions in both the piano, oboe and music theory. Helen also achieved her Advanced Certificate in piano performance. A student of Boundstone Community College (now Sir Robert Woodard Academy) Helen took A levels in French, English and Music specialising in performance. She regularly played in school assemblies both as a soloist (most notably performing Grieg’s Piano Concerto) and also accompanying her peers. She went on to study for a degree in music at Surrey University, Guildford. She also holds the Certificate of Teaching from the Associated Board of the Royal Schools of Music. An accomplished pianist and oboist she has been musical director for several local amateur dramatic societies including productions of Honk!, The Merry Widow, Joseph, Annie Get Your Gun, Sweeney Todd for Worthing Musical Theatre Company (previously WLOC), a youth production of Pirates of Penzance and most recently Honk! Jr. for Knightstar Productions. Helen teaches the piano and oboe and enjoys passing on her knowledge and experience to her students. She works for West Sussex Music on a Saturday morning teaching music theory to nearly 100 students of all ages and standards. She Chairman of Worthing Music and Arts Festival which takes place every year. Helen enjoys accompanying for exams and concerts and encourages her students to perform very frequently at these events. With so much spare time she has taken over the printed music department of Music Supplies which she now runs from home! Helen is Chairman of the Thames South Group for the National Association of Choirs and is enjoying the new found enthusiasm for choral music that is spreading throughout the region. 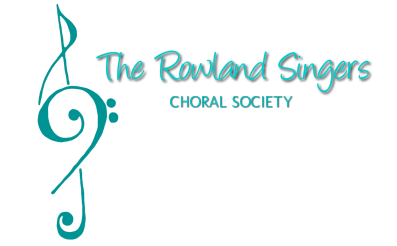 She is delighted to be the conductor the Rowland Singers and is very proud of being the musical director for such a lovely choir. 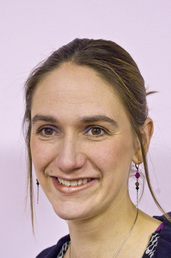 Kathryn studied music at the University of Birmingham and subsequently completed a PGCE with Specialist String Teaching in Manchester, with training in the Dalcroze Eurhythmics and Kodàly methods of music education. She has achieved a post-graduate diploma in performance on the viola from the Royal Northern College of Music whilst studying with Roger Bigley. After working for a year at the Purcell School of Music, Kathryn moved to St. John’s College School, Cambridge, where she taught class music and latterly became the Byron House Director of Music. She also taught the violin to many of the boy choristers from St. John’s College Choir. Whilst at the school she established a community music project, Stringmoves, which combines Dalcroze Eurythmics and string playing for 5-10 year olds on Saturday mornings. As a performer in Cambridge, Kathryn worked with the Chamber Musicians of Cambridge, the Sinfonia of Cambridge and performed the Mozart Sinfonia Concertante and the Telemann Viola Concerto in G major with the Cambridge String Players. Kathryn has accompanied various recitals and concerts for many years and is delighted to have joined the Rowland Singers as their accompanist. Jacky studied music teaching at Goldsmith’s College, London University and graduated from Trinity College, London with a Diploma in the Art of Recorder Playing. She taught in London for several years and was also a member of the Royal Choral Society under the direction of the late Sir Malcolm Sargent. 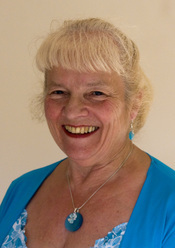 She then moved to Worthing in 1969 and was the co-founder of the Rowland Singers.